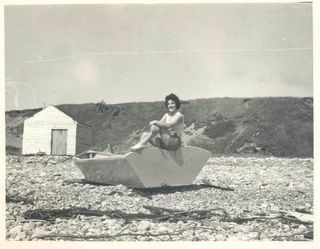 Mom sitting on her fathers boat circa 1965. The cliff behind goes up to her parents house, some 80 feet. Taken at Cape St. George, Newfoundland. Canada by my father.